Ram Charan had recently wrapped up an action-packed schedule for his upcoming film, Rangasthalam 1985. 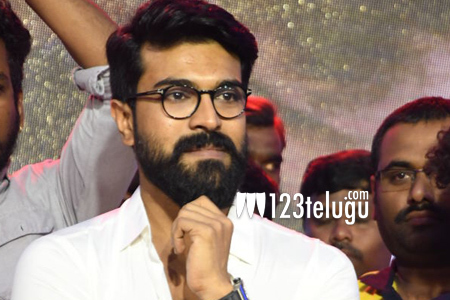 The film’s director Sukumar has given a week-long holiday for Charan and the actor is presently rejuvenating himself in Kerala. Apparently, Charan flew down to Kerala via Coimbatore. He is reportedly relaxing at a nature cure spa in the God’s own country. Charan will return to Hyderabad in a few days to resume the shooting. Rangasthalam is expected to be wrapped up by November. The film releases for Sankranthi early next year.